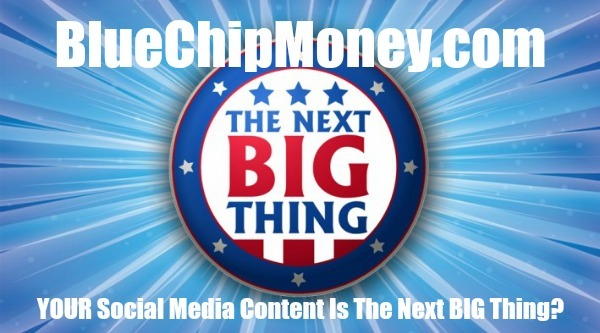 Millennium 7 Publishing Co.: YOUR Social Media Content Is The Next BIG Thing? Why personalized content on social media is the next big thing..
"Personalized content" is one of the latest buzzwords in digital marketing. It's also a push companies are making towards creating a better connection with people that takes their specific wants and needs into consideration. Personalizing, in this context, means that companies create specific content based on factors such as who their audience is, where they live, how they consume content when they consume content and on what devices they consume content. Nowhere is that push more evident than on social media platforms, where the opportunity for meaningful interaction is nearly limitless. In fact, recent studies have found that three-fourths of all consumers are much more motivated to buy from a company that not only knows their name but also makes recommendations based on previous purchases. The big question is, how can a business successfully harness the power of personalized content to drive social media campaigns that create more engagement and subsequently lead to more conversions? The answer lies in developing strategies that will help you better understand your target audience and then tailor your content accordingly. The first step in creating personalized content on social media is to know your target audience. Many businesses fail because they never understand which group of prospective buyers would be most interested in their products and services. For example, if you’re selling accessories for luxury cars, targeting teenagers probably isn’t wise, given that with a few exceptions, they have not achieved the status or income to own that particular class of vehicle. Similarly, a company that sells a new type of skateboard probably wouldn’t want to target people in their 60s, because that demographic isn’t likely to be interested in hip skateboards so that they can attempt death-defying stunts. Brands are increasingly using customer personas and customer avatars to identify their target audience and to understand their wants and needs, as well as the problems they need resolving. Once you understand who you are targeting, you can better understand what type of content your audience finds most appealing. Social media platforms are becoming incredibly segmented. So trying to create homogenous content that will perform well across all channels is a herculean feat that typically doesn’t deliver the intended result. Only once you truly know your target audience can you better identify the types of content that will appeal to them and which social media channel will be most instrumental in helping you reach them. If you were the owner of the skateboard company referenced above, you would probably want to distribute your personalized content through Facebook, Snapchat and Instagram, since all three are popular with teens and millennials, where visual imagery like videos and pictures perform well. If you had taken the time to properly identify your target audience, you may have considered sending out video invitations to people to test your new skateboard for free, which would’ve been limited to people you had identified as most likely to respond to test-run events based on surveys, questionnaires and/or comments on social media posts. In this particular example, personalization would target a group that is highly motivated to test out a new skateboard, which, in turn, would increase the likelihood of them raving about their experience through social media. And don’t forget about the bonus here: Exclusive invitations would make each recipient feel much more connected to your brand. Another thing to remember is that you can’t create personalized content on social media by simply relying on customer personas. To truly make your audience feel connected to your brand, you have to communicate with them directly on social media and find out what they want from your company. What problems are they having that your products or services can solve? What type of content do they crave that you aren’t offering? In the digital age, virtually everyone is accessible, and it’s your responsibility to build personal relationships through active communication and engagement with them. When people feel that their voices are being heard and when you validate their concerns through direct communication like email, live video and social media messages, you are building valuable relationships, one person at a time. People change, needs evolve and companies that don’t maintain communication with their target audience will lose the personal connection that makes people loyal to their brand. Personalization is an ongoing process that has no expiration date, so it requires constant analysis about how well your business is connecting with your target audience. Fortunately, there are many social media metrics that can provide you with valuable information regarding your audience’s engagement level, clicks, shares, likes and social media comments. The goal of personalization is to make your existing customers and prospects feel a powerful connection to your business and, in so doing, cement the trust that is the cornerstone of a profitable, long-term relationship. Guest Authored By Jon Clark. John is Founder and CEO of New York City digital marketing agency Fuze SEO and Co-Founder of Nomad Coffee Club. Follow Jon on Twitter. "The goal of personalization is to make your existing customers and prospects feel a powerful connection to your business and, in so doing, cement the trust that is the cornerstone of a profitable, long-term relationship..